Google- affiliated Waymo built a fake city in California to test its self-driving cars. Waymo’s self-driving minivans are logging miles in a fake California city. A handful of the world’s most powerful companies are in a race to build the same technology: driverless cars. The one that does it first, but most importantly, best, stands to change the future of American cities forever. 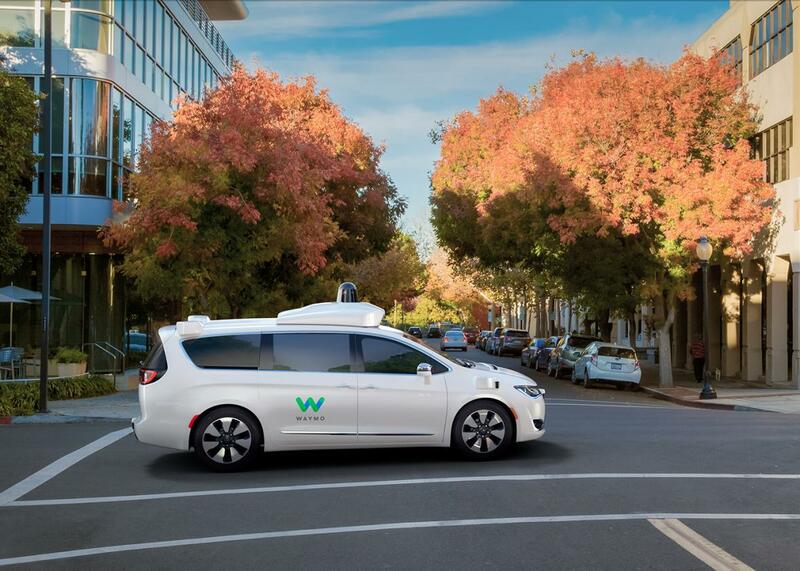 And now, after years of work, Google’s sister self-driving car project, Waymo, is gunning to take the lead. Both Waymo and Google are owned by the same parent company, Alphabet. In the past few months, the typically secretive company has been inviting select reporters to peek at what their team has been working on, including a secret mock city about 100 miles east of Silicon Valley built to test its fleet of robot cars. As the Atlantic reported in sweeping detail earlier this week, the fake city is a fenced-off plot of land that the Waymo team calls Castle, named after the Castle Air Force Base that used to operate there. And inside, the engineers have built all kinds of intersections and driveways and roads, but except for the pink Air Force dormitories that remain from the old base, there are no buildings that one would typically find in an American town. One stretch of road has a series of neighboring driveways with no houses behind them. “It is truly a city for robotic cars: All that matters is what’s on and directly abutting the asphalt,” writes the Atlantic’s Alexis Madrigal, who was given access to the facility. Waymo engineers have reconstructed intersections that have proven difficult for their self-driving cars to maneuver in the past, like a two-lane roundabout they previously encountered in Austin, Texas. And like any good fake city, Castle has a full collection of props like bicycles, skateboards, plants, kids’ toys, dummies, and of course, a lot of traffic cones, all of which are used to mock scenarios the robot cars might encounter in the real world. Inside Castle, the self-driving vehicles can log thousands of miles in a controlled setting, where cars driven by people are staged to quickly cut off a self-driving car in order to test the robot’s rate of deceleration. Beyond simply making sure that the car doesn’t hit anything, self-driving car engineers also need to ensure that the ride is smooth. No one, after all, will want to ride in a self-driving car if every time it comes to an unexpected stop your cell phone falls to the floor. While the fake city is impressive, Waymo has still clocked millions of more miles in computerized simulations, where thousands of virtual cars drive about 8 million miles a day, perfecting the software that gets uploaded onto the real cars. The simulation program, called Carcraft, includes models of Austin, Mountain View, and Phoenix. Waymo isn’t the only Silicon Valley company with virtual worlds for their robot cars to practice. Uber, which also has an ambitious self-driving car initiative, is hiring for multiple positions for its self-driving car project that describe building “games and 3D virtual environments” and “realistic worlds and situations.” The ride-sharing company has also tested its self-driving cars in real cities, like Pittsburgh, Tempe, and San Francisco. Uber is also in mired in a contentious court case with Waymo stemming from Uber’s acquisition of Otto, a self-driving truck startup. The founder of Otto, Anthony Levandowski, formerly worked as a top engineer leading Waymo’s self-driving car efforts and allegedly came on board at Uber with stolen trade secrets from Waymo. Apple is also working on self-driving car technology, but as the New York Times reported earlier this week, those efforts are being scaled back. Originally, the team at Apple was working on designing what could become an Apple-branded autonomous car, but now the tech giant is focusing on the internal technology that gets baked into autonomous vehicles, rather than a full car. Ford, Toyota, and General Motors are all also working on self-driving car projects. As companies continue to barrel ahead with their robotic car ambitions, regulators seem less prepared. On Thursday, Recode reported that a federal advisory board focused on regulating driverless car technology made up of executives from Ford, General Motors, Lyft, and other transportation companies hasn’t met since Donald Trump took office. Trump has also yet to nominate someone to chair the National Highway Traffic Safety Administration, the agency that will be charged with implementing any self-driving car legislation. Still, lawmakers seem excited about the prospect of self-driving cars, which could save thousands of lives. The House advanced a bill in July that would grant self-driving automakers more opportunities for exemptions from existing safety standards, a move that could allow as many as 100,000 autonomous cars to hit the road. Before robot cars start to drive regularly alongside human drivers, companies are going to want to be extremely confident that their technology is safe and ready to deal with the vast amount of unpredictability that comes with navigating through the real world. One bad mistake could quickly turn people off to an idea that many may already be skeptical of, setting adoption of the technology back for years. All of which is why fake cities like Castle, where robot cars can practice all day long, are so important for getting the technology right now, while American roadways are still packed with human drivers behind the wheel.